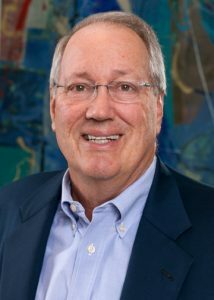 W. Frederick Uehlein is the Founder of Insurance Recovery Group, Inc. (IRG), and the Managing Partner of Insurance Recovery Legal Associates, LLC (IRLA). Mr. Uehlein is a frequent lecturer, writer, speaker on insurance claims issues, second injury fund recovery (SIF), Cost of Living Adjustment (COLA) recovery, and litigation management. He performs advisory services for insurers on a wide range of claims matters and has addressed Congress on potential legislation. Mr. Uehlein has more than 41 years’ experience, primarily in the area of workers’ compensation disability law. Before founding IRG, he was a managing partner of Uehlein, Cunningham and Machanic. He is a graduate of Boston College Law School and Trinity College, and is licensed to practice in Massachusetts and New York. Mr. Uehlein is an associate editor of the American Medical Association Guides Newsletter, a member of the Workers’ Compensation Trial Lawyers Association, and is on the Advisory Committee of John Burton’s “Workers’ Compensation Resources” and New York Business Council Workers’ Compensation Committee.